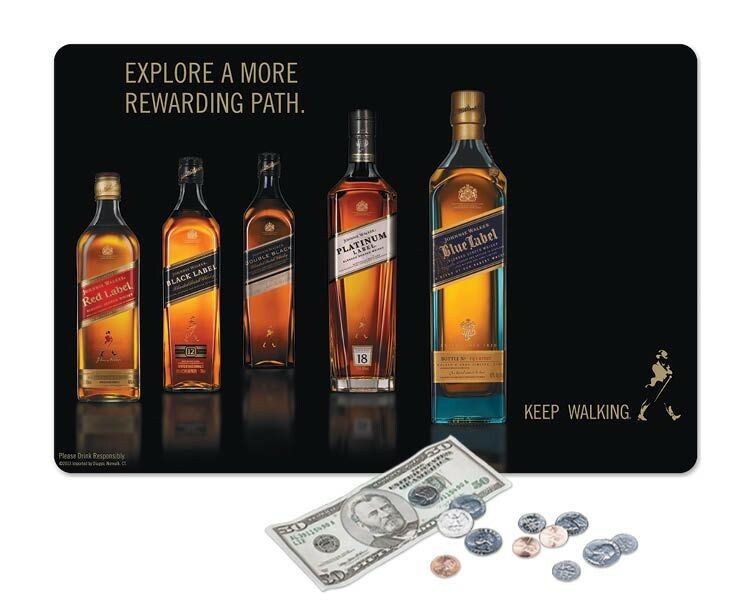 12"x17.75"x1/8"-Krystex® Heavy Duty Counter Mats are a highly visible, cost effective way to deliver your message on counter tops everywhere increasing brand recognition and generating sales. This rubber based mat is a popular general purpose product and an economical alternative to our Super Duty mat. Your brilliant image is presented in vivid color and protected under our tough Krystex® smooth gloss surface. Minimum order is 250 mats. 16"x20"x1/16"-Origin'L Fabric® Heavy Duty Fabric Counter Mats are a highly visible, cost effective way to deliver your message on counter tops everywhere. NEW Antimicrobial surface provides a soft, cushioned display & demo surface ideal for glass countertops and sensitive products like eyeglasses, guns, & jewelry. Your art is dyed permanently into the mat-won't crack or peel. Mat rolls up for easy transportation & storage-great for game boards. Minimum order is 25 mats. Caffeine Lip Balm USA Made - FDA Approved SPF 15 Made with Green Tea and Caffeine Extract Broad Compliant With The New FDA Monograph Standard .15 oz Size Black Cap / Black Base Tube Full Color - 4 Color Process Double Wrap Flavors: Citrus, Green Tea Imprint Area: 1.8" x 1.0" Includes a Full Color Custom Imprint Full Color Bleed on Labels Custom or Stock Backgrounds / Imprints Click Here to View Our Stock Backgrounds Standard Production: 7-10 Working Days from Proof Approval Rush Production Available FOB: OH 52401 250 pcs / 6 lbs. 12"x18"x1/16"-Krystex® DuraTec® Counter Mats are "Odorless", LATEX-FREE synthetic rubber backed mats with durability that rivals Heavy Duty rubber mats. These mats are extremely durable, lightweight to reduce shipping costs, and great for short to medium-term promotions. A highly visible, cost effective way to deliver your message on counter tops everywhere. Your brilliant image is protected under our tough Krystex® gloss surface. Minimum order is 250 mats. 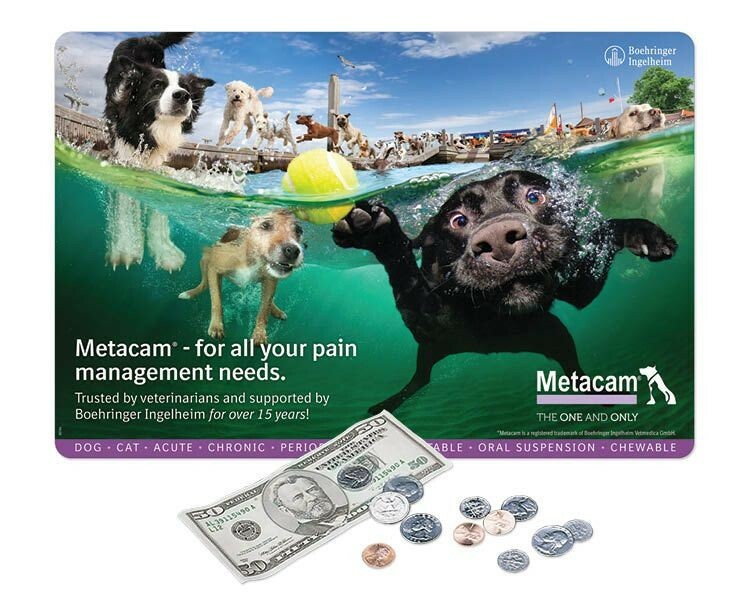 17"x26"x1/8"-Frame-It® MagLift™ Heavy Duty Window Counter Mats are a highly visible, flexible way to deliver your message on counter tops everywhere. 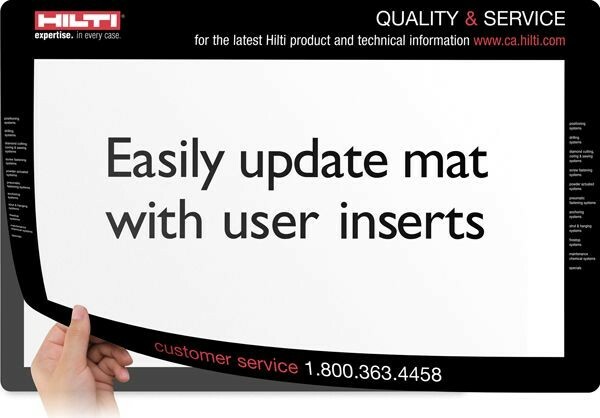 The mat's window lets you easily update your promotion by simply changing an insert. 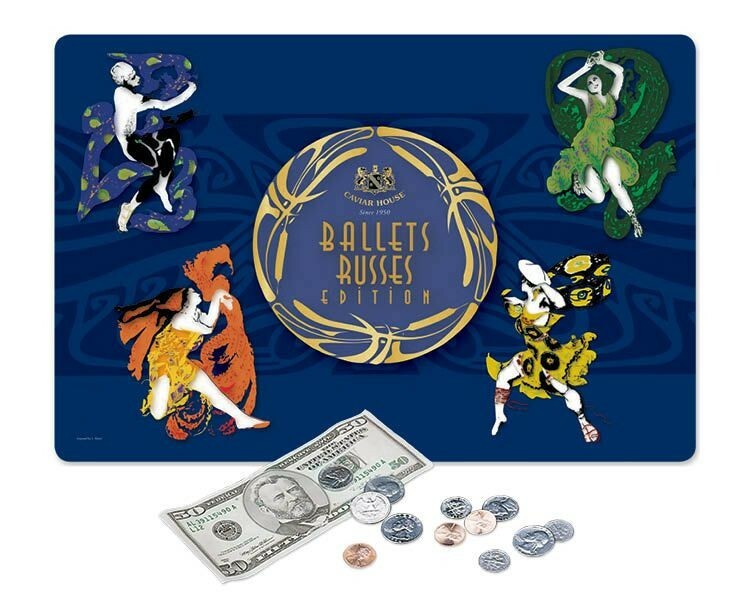 Great for location-specific info & frequently changing pricing, menus, or promotions. Magnetic strips on the durable Heavy Duty rubber base and tough, scratch resistant Vynex® surface hold the window closed. Minimum order is 100 mats. 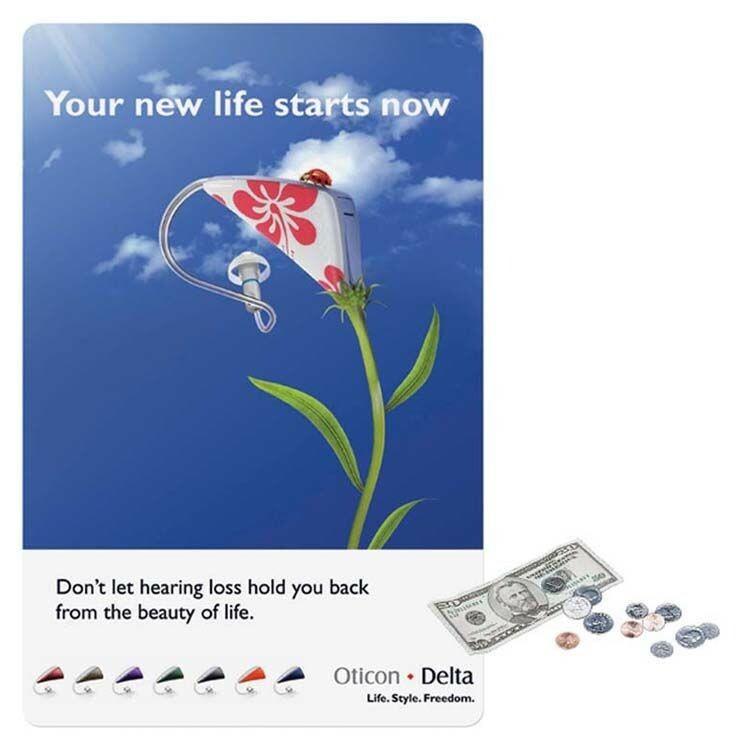 14"x19"x1/8"-Frame-It® MagLift™ Heavy Duty Window Counter Mats are a highly visible, flexible way to deliver your message on counter tops everywhere. 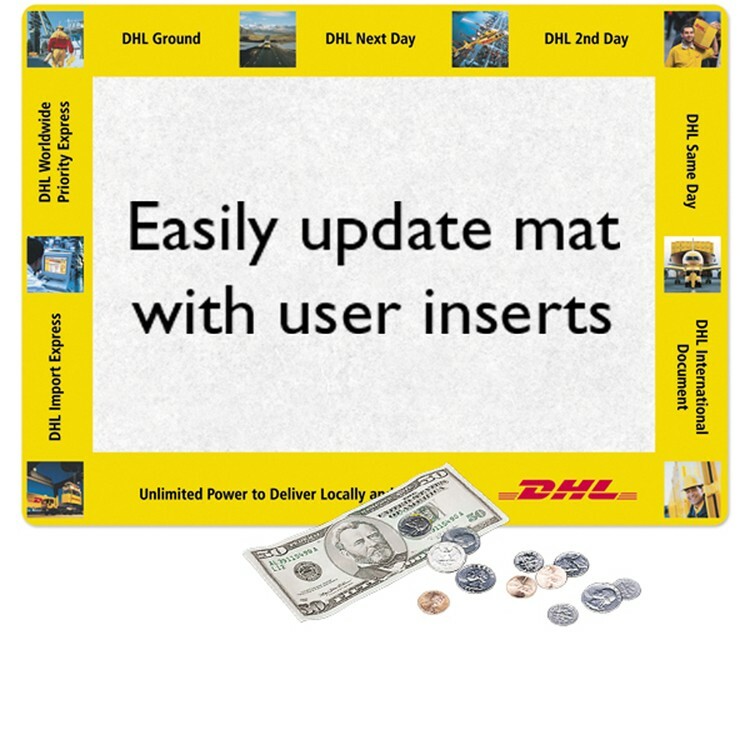 The mat's window lets you easily update your promotion by simply changing an insert. Great for location-specific info & frequently changing pricing, menus, or promotions. Magnetic strips on the durable Heavy Duty rubber base and tough, scratch resistant Vynex® surface hold the window closed. Minimum order is 100 mats. 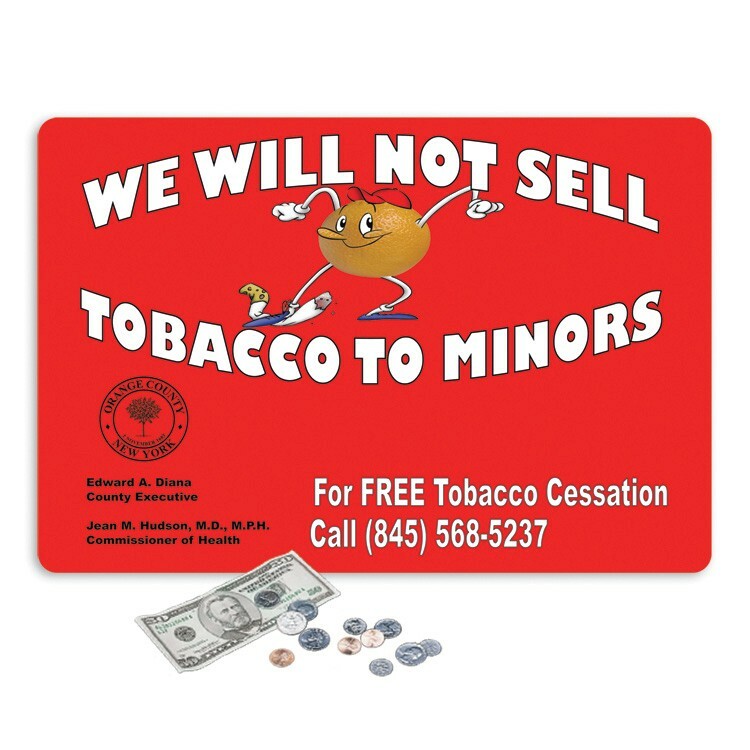 17"x26"x.015"-Krystex® Peel&Place® Ultra Thin Counter Mats are a highly visible, inexpensive way to deliver your message on counter tops everywhere. These low-profile mats are virtually flush with the counter top & kept firmly in place by our special lo-tac, removable adhesive. Your brilliant color image is protected under our tough Krystex® smooth gloss surface. Also-use as signs, window stickers, durable labels, and more. Minimum order is 250 mats. 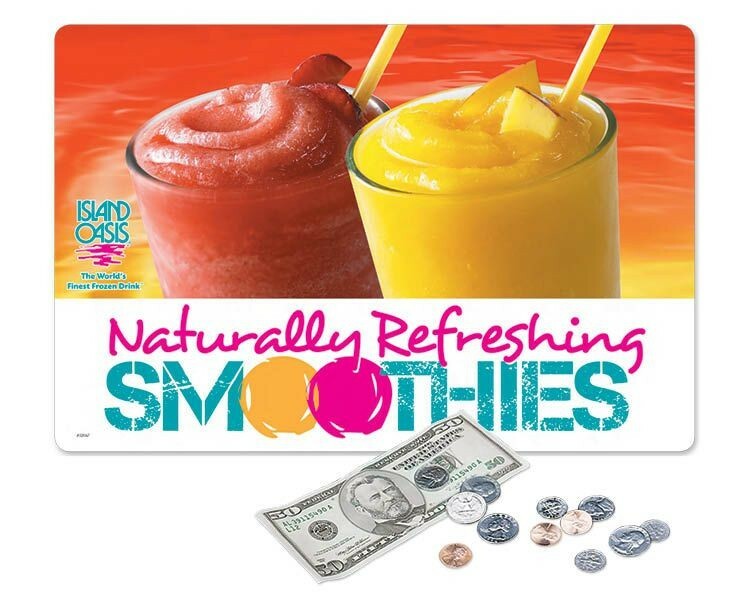 14"x19"x1/8"-Krystex® Heavy Duty Counter Mats are a highly visible, cost effective way to deliver your message on counter tops everywhere increasing brand recognition and generating sales. This rubber based mat is a popular general purpose product and an economical alternative to our Super Duty mat. Your brilliant image is presented in vivid color and protected under our tough Krystex® smooth gloss surface. Minimum order is 250 mats. 10"x15"x1/8"-Vynex® Heavy Duty Counter Mats are a highly visible, cost effective way to deliver your message on counter tops everywhere increasing brand recognition and generating sales. This rubber based mat is a popular general purpose product and an economical alternative to our Super Duty mat. Your brilliant image is presented in vivid color and protected under our tough, scratch resistant, Vynex® textured matte surface. Minimum order is 25 mats. 10"x15"x1/8"-Krystex® DuraTec® Counter Mats are "Odorless", LATEX-FREE synthetic rubber backed mats with durability that rivals Heavy Duty rubber mats. These mats are extremely durable, lightweight to reduce shipping costs, and great for short to medium-term promotions. A highly visible, cost effective way to deliver your message on counter tops everywhere. Your brilliant image is protected under our tough Krystex® gloss surface. Minimum order is 250 mats. 14"x19"x1/8"-Frame-It Flex® Super Duty Window Counter Mats are a highly visible, flexible way to deliver your message on counter tops everywhere. 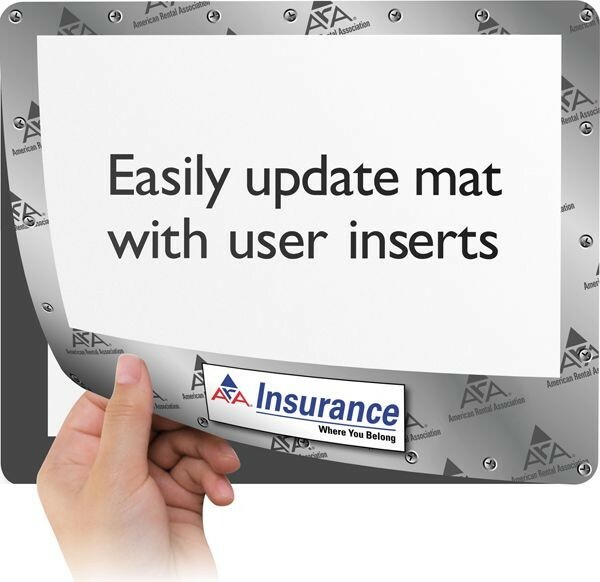 The mat's window lets you easily update your promotion by simply changing an insert. 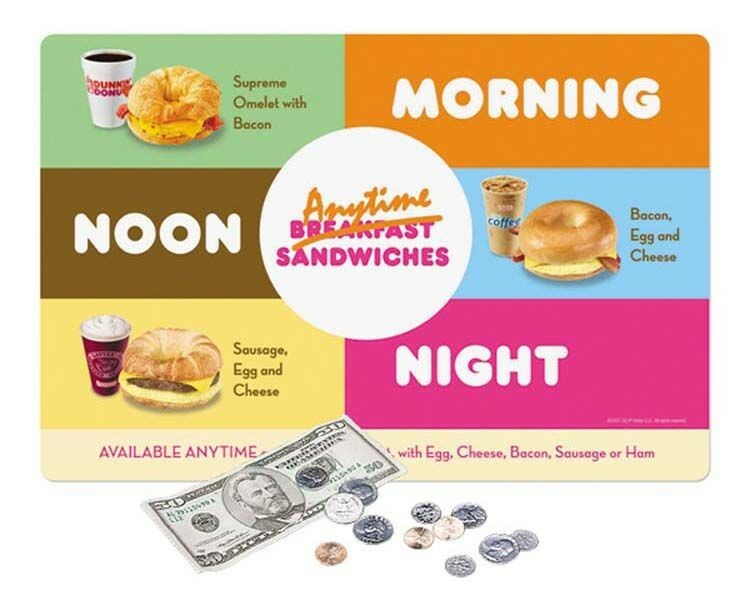 Great for location-specific info and frequently changing pricing, menus, or promotions. Built with our Super Duty SAC base and tough, scratch resistant Vynex® textured matte surface for superior durability. Minimum order is 100 mats. 13"x19"x1/16"-Vynex® Super Duty Counter Mats are the industry's MOST DURABLE and our MOST POPULAR counter mats. The superior durability comes from our Super Duty SAC material-engineered using our EXCLUSIVE Supported Adhesion Coating (SAC)-coupled with our tough, scratch resistant, Vynex® textured matte surface. These mats are an effective way to deliver your message on counter tops everywhere plus, you'll look better longer with Super Duty. Minimum order is 25 mats. 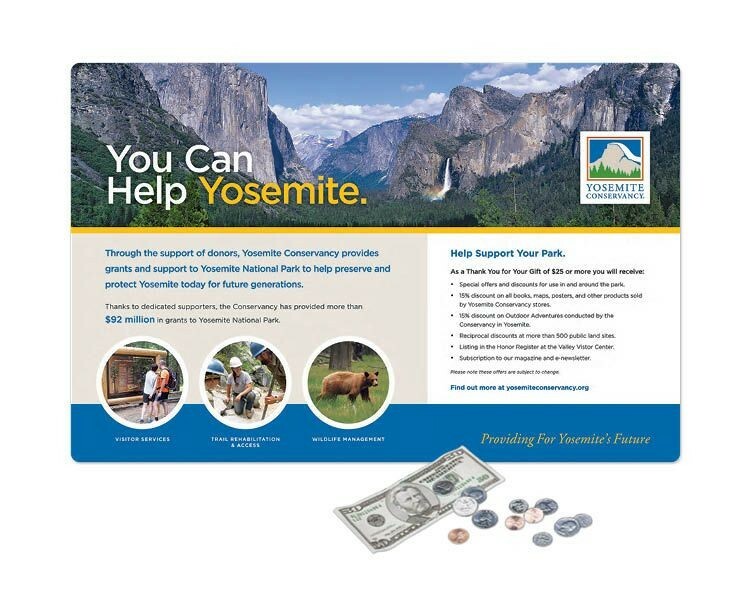 13"x19"x1/8"-Vynex® Heavy Duty Counter Mats are a highly visible, cost effective way to deliver your message on counter tops everywhere increasing brand recognition and generating sales. This rubber based mat is a popular general purpose product and an economical alternative to our Super Duty mat. Your brilliant image is presented in vivid color and protected under our tough, scratch resistant, Vynex® textured matte surface. Minimum order is 25 mats. 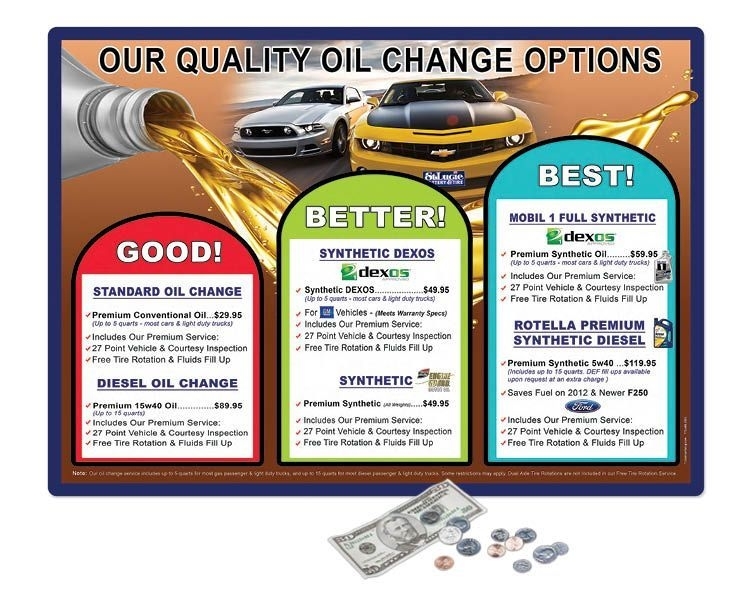 16"x20"x1/8"-Frame-It® MagLift™ DuraTec® Window Counter Mats are "Odorless", LATEX-FREE synthetic rubber backed, magnetic window mats that let you easily update your promotion by simply changing an insert. 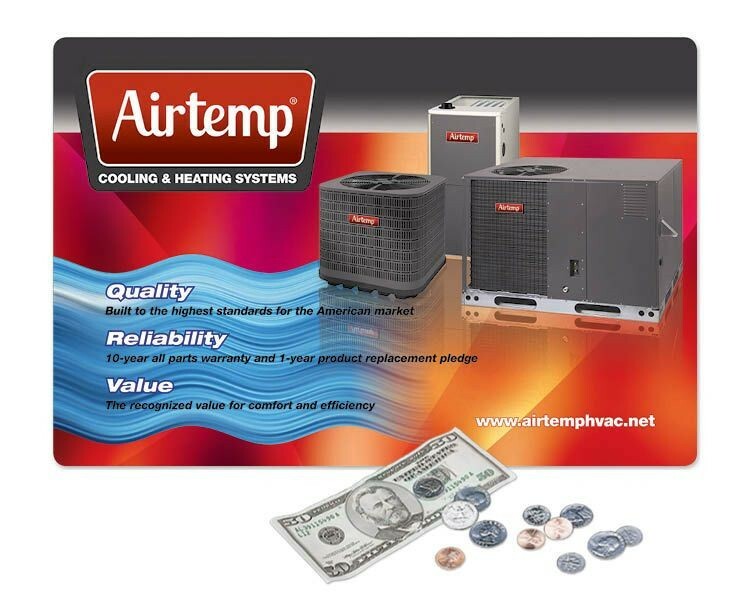 Great for location specific info & frequently changing pricing or promotions. Magnetic strips on our lightweight, "Odorless", LATEX-FREE DuraTec® base and tough, scratch resistant Vynex® textured matte surface hold the window closed. 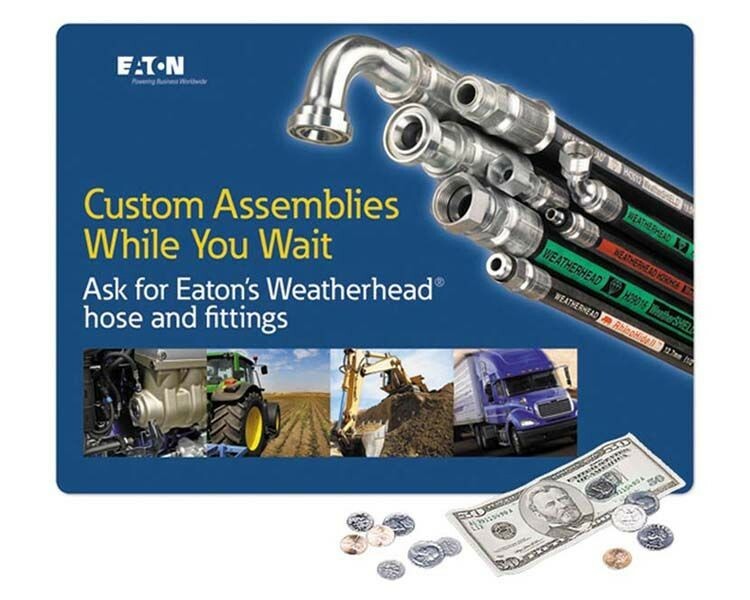 A durable, economical option. Minimum order is 100 mats. 10.5"x13"x1/16"-Frame-It® MagLift™ Heavy Duty Window Counter Mats are a highly visible, flexible way to deliver your message on counter tops everywhere. 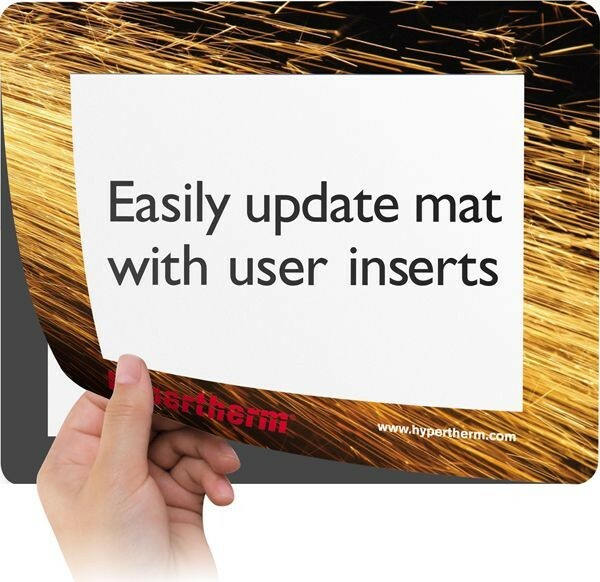 The mat's window lets you easily update your promotion by simply changing an insert. Great for location-specific info & frequently changing pricing, menus, or promotions. Magnetic strips on the durable Heavy Duty rubber base and tough, scratch resistant Vynex® surface hold the window closed. Minimum order is 100 mats. 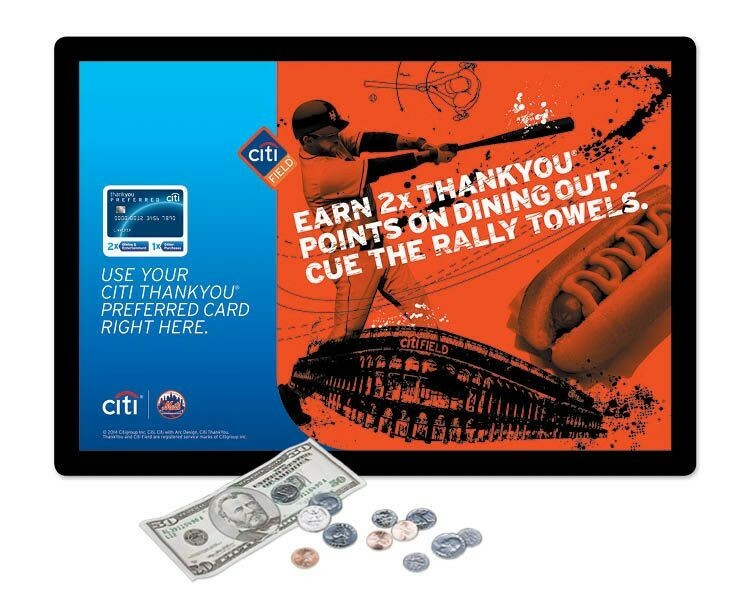 12"x17.75"x.015"-Frame-It Flex® Peel&Place® Ultra Thin Window Counter Mats are a highly visible, flexible way to deliver your message on counter tops everywhere. 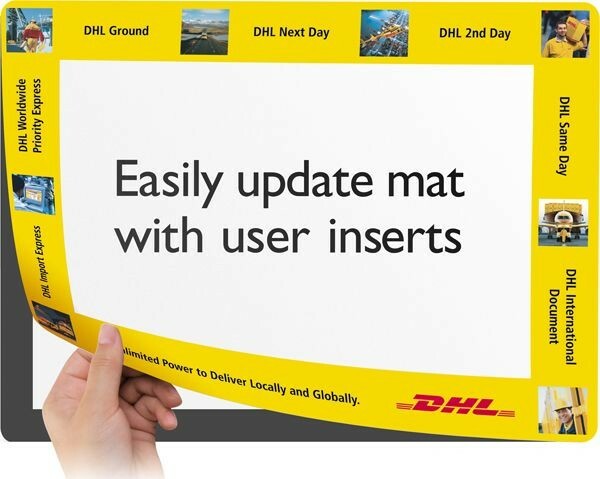 The mat's window lets you easily update your promotion by simply changing an insert. 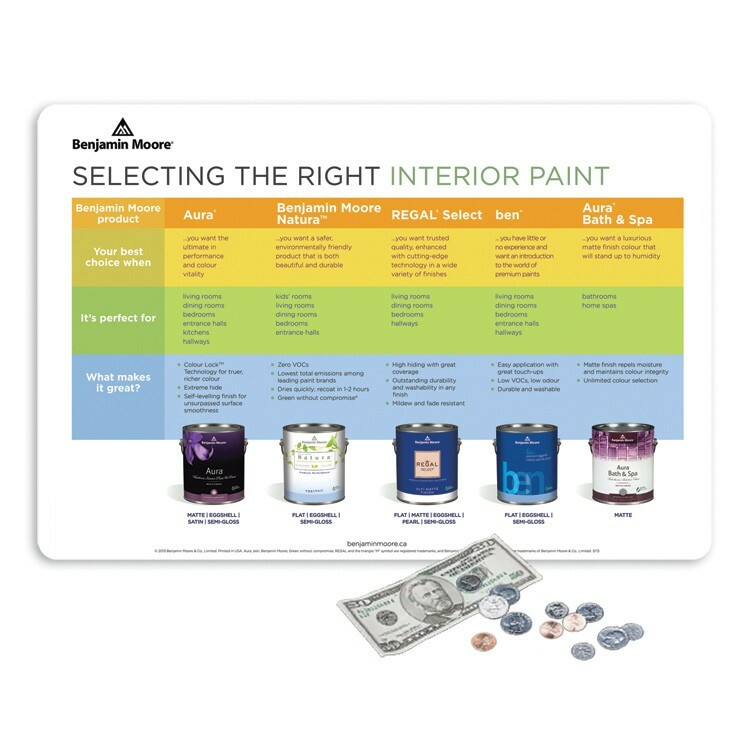 Great for location-specific info and frequently changing pricing or promotions. 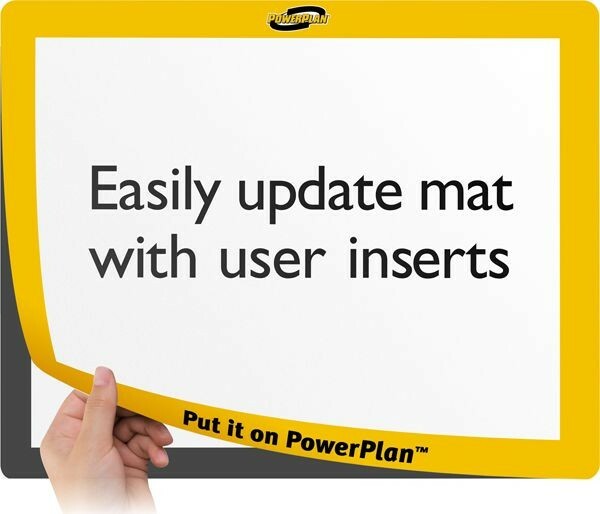 Built with our special lo-tac, removable adhesive and scratch resistant Vynex® textured surface for durable, ultra-thin mat. Minimum order is 100 mats. 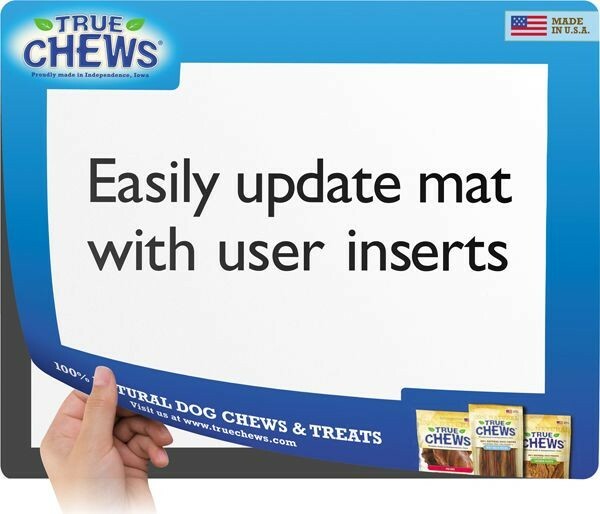 10.5"x13"x1/8"-Frame-It® MagLift™ DuraTec® Window Counter Mats are "Odorless", LATEX-FREE synthetic rubber backed, magnetic window mats that let you easily update your promotion by simply changing an insert. 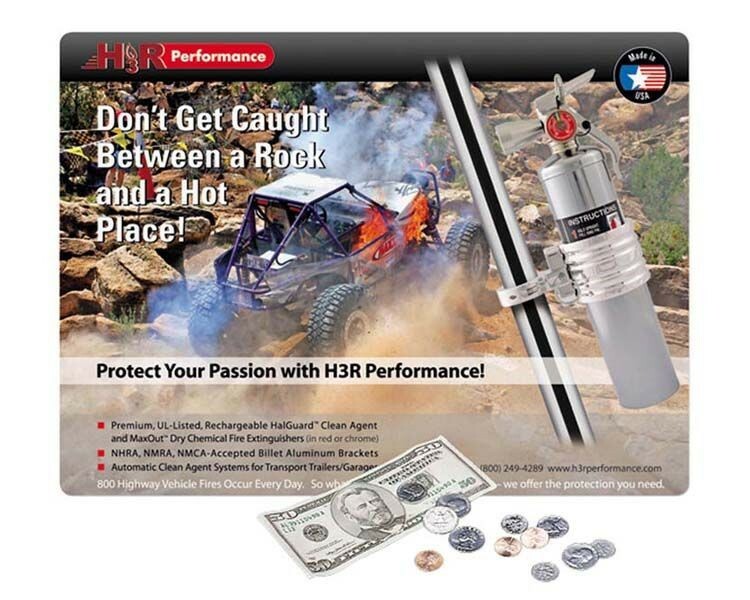 Great for location specific info & frequently changing pricing or promotions. Magnetic strips on our lightweight, "Odorless", LATEX-FREE DuraTec® base and tough, scratch resistant Vynex® textured matte surface hold the window closed. A durable, economical option. Minimum order is 100 mats. 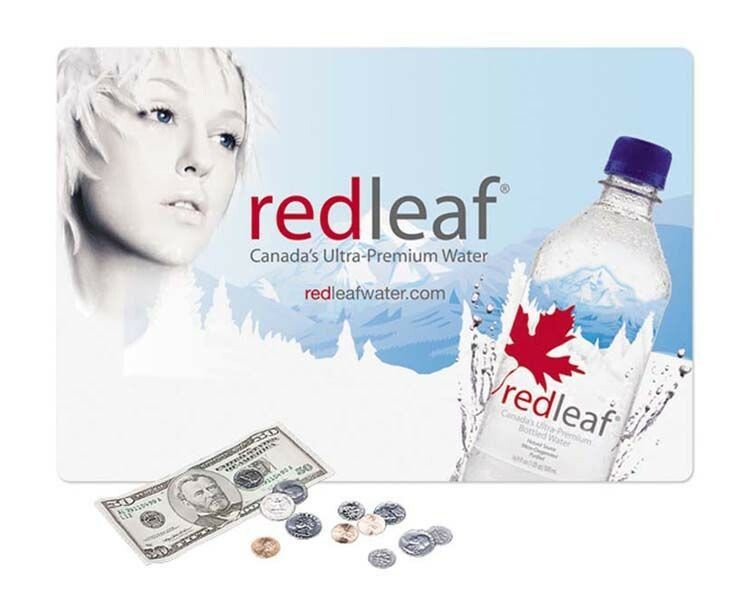 17"x26"x1/16"-Origin'L Fabric® Heavy Duty Fabric Counter Mats are a highly visible, cost effective way to deliver your message on counter tops everywhere. NEW Antimicrobial surface provides a soft, cushioned display & demo surface ideal for glass countertops and sensitive products like eyeglasses, guns, & jewelry. Your art is dyed permanently into the mat-won't crack or peel. Mat rolls up for easy transportation & storage-great for game boards. Minimum order is 25 mats. 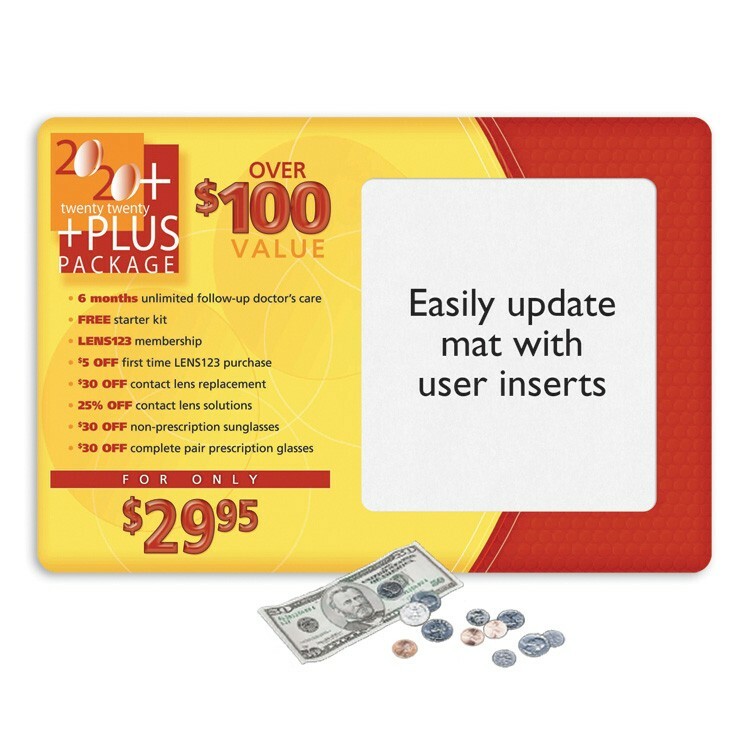 16"x20"x1/16"-Frame-It® MagLift™ DuraTec® Window Counter Mats are "Odorless", LATEX-FREE synthetic rubber backed, magnetic window mats that let you easily update your promotion by simply changing an insert. 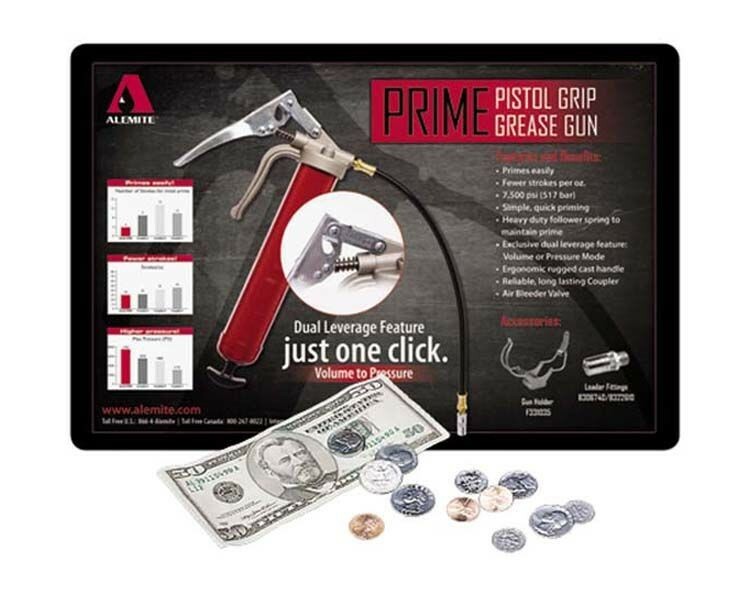 Great for location specific info & frequently changing pricing or promotions. Magnetic strips on our lightweight, "Odorless", LATEX-FREE DuraTec® base and tough, scratch resistant Vynex® textured matte surface hold the window closed. 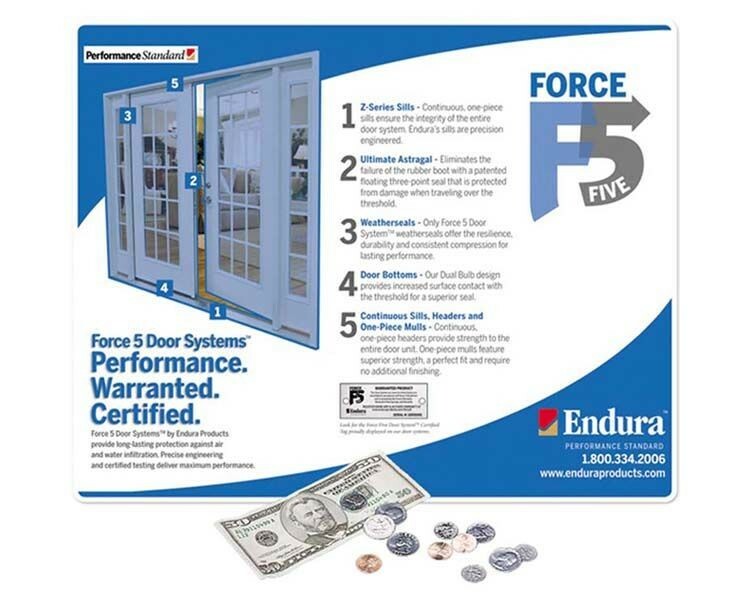 A durable, economical option. Minimum order is 100 mats. 12"x17.75"x1/8"-Vynex® Super Duty Counter Mats are the industry's MOST DURABLE and our MOST POPULAR counter mats. The superior durability comes from our Super Duty SAC material-engineered using our EXCLUSIVE Supported Adhesion Coating (SAC)-coupled with our tough, scratch resistant, Vynex® textured matte surface. These mats are an effective way to deliver your message on counter tops everywhere plus, you'll look better longer with Super Duty. Minimum order is 25 mats. 10"x15"x1/8"-Vynex® DuraTec® Counter Mats are "Odorless", LATEX-FREE synthetic rubber backed mats with durability that rivals Heavy Duty rubber mats. These mats are extremely durable, lightweight to reduce shipping costs, and great for short to medium-term promotions. A highly visible, cost effective way to deliver your message on counter tops everywhere. Your brilliant image is protected under our tough Vynex® textured matte surface. Minimum order is 25 mats. 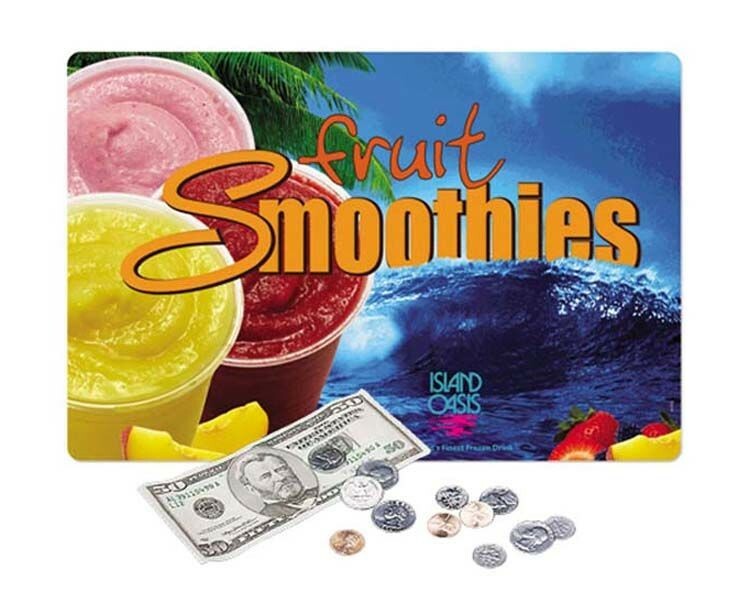 12"x18"x.015"-Vynex® Peel&Place® Ultra Thin removable/repositionable adhesive based Counter Mats are a highly visible, inexpensive way to deliver your message on counter tops everywhere. These low-profile mats are virtually flush with the counter top & kept firmly in place by our special lo-tac, removable adhesive. Your brilliant color image is protected under our tough, scratch resistant, Vynex® textured matte surface. Also-use as signs, window stickers, durable labels, and more. Minimum order is 25 mats. 13"x19"x1/8"-Vynex® DuraTec® Counter Mats are "Odorless", LATEX-FREE synthetic rubber backed mats with durability that rivals Heavy Duty rubber mats. These mats are extremely durable, lightweight to reduce shipping costs, and great for short to medium-term promotions. A highly visible, cost effective way to deliver your message on counter tops everywhere. Your brilliant image is protected under our tough Vynex® textured matte surface. Minimum order is 25 mats. 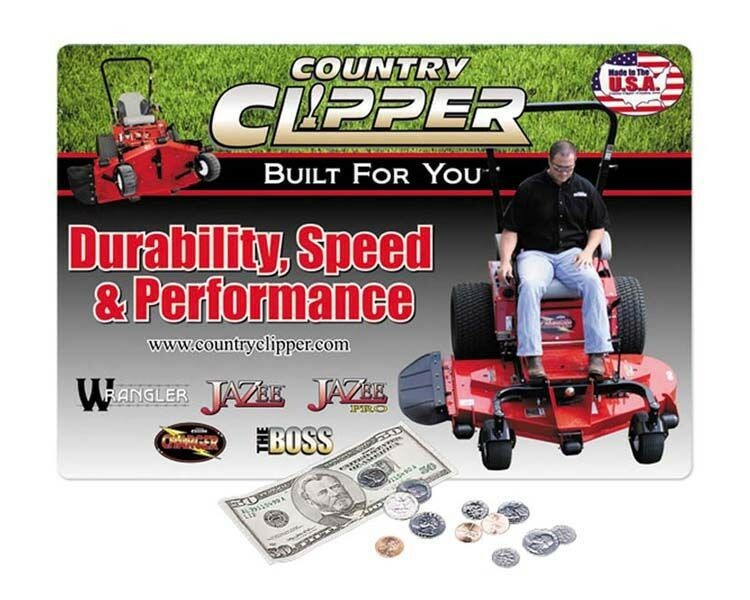 10"x15"x1/16"-Krystex® Super Duty Counter Mats are the industry's MOST DURABLE and our MOST POPULAR counter mats. The superior durability comes from our Super Duty SAC material-engineered using our EXCLUSIVE Supported Adhesion Coating (SAC)-coupled with our tough Krystex® smooth gloss surface. These mats are an effective way to deliver your message on counter tops everywhere plus, you'll look better longer with Super Duty. Minimum order is 250 mats. 14"x19"x3/16"-Krystex® Super Duty Counter Mats are the industry's MOST DURABLE and our MOST POPULAR counter mats. The superior durability comes from our Super Duty SAC material-engineered using our EXCLUSIVE Supported Adhesion Coating (SAC)-coupled with our tough Krystex® smooth gloss surface. These mats are an effective way to deliver your message on counter tops everywhere plus, you'll look better longer with Super Duty. Minimum order is 250 mats. 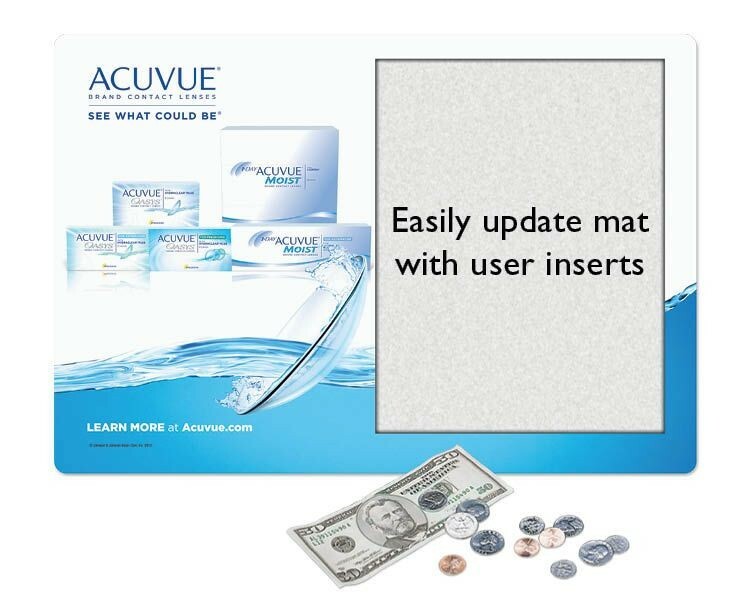 14"x19"x.015"-Vynex® Peel&Place® Ultra Thin removable/repositionable adhesive based Counter Mats are a highly visible, inexpensive way to deliver your message on counter tops everywhere. These low-profile mats are virtually flush with the counter top & kept firmly in place by our special lo-tac, removable adhesive. Your brilliant color image is protected under our tough, scratch resistant, Vynex® textured matte surface. Also-use as signs, window stickers, durable labels, and more. Minimum order is 25 mats. 10"x15"x3/16"-Origin'L Fabric® Heavy Duty Fabric Counter Mats are a highly visible, cost effective way to deliver your message on counter tops everywhere. NEW Antimicrobial surface provides a soft, cushioned display & demo surface ideal for glass countertops and sensitive products like eyeglasses, guns, & jewelry. Your art is dyed permanently into the mat-won't crack or peel. Mat rolls up for easy transportation & storage-great for game boards. Minimum order is 25 mats.